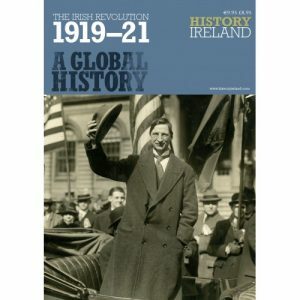 The Irish revolution: 1919–21, a global history is the third in the History Ireland Centenary Series tracking the decade of commemorations and features contributions from a host of scholars in the field, focusing on placing the Irish revolution in a global context. 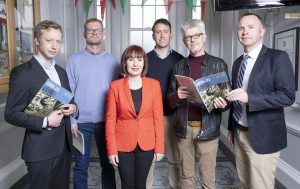 The Commemorations Unit (Department of Culture, Heritage and the Gaeltacht) has funded the distribution of The Irish revolution:1919–21, a global history to all post primary schools in Ireland. The Irish revolution: 1919–21, a global history provides a much-needed perspective afforded by standing back from events in Ireland to understand the wider context of post-war Europe, and equally Ireland’s place in the newly-reconfigured western world where empires were now in irreversible decline. 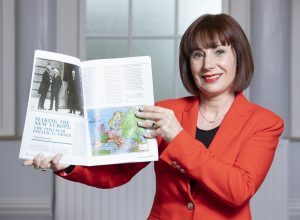 The Irish revolution:1919–21, a global history widens the focus from the history of the Irish overseas to the global significance of the ‘Irish question’ and charts how extensively the conflict in Ireland was debated across the world in anti-imperial, labour, suffragist, dominion and other circles. What has emerged clearly is how transnational communications, primarily newspapers and the telegraph, fundamentally shaped how the Irish revolution was reported and written about. The digitisation of newspapers now allows for this story to be told from many different places. The growth in digital archives such as the 1911 Irish Census of Population, the Bureau of Military History and the Military Service Pensions Collection enables people, wherever they happen to be located in the world, to explore in unprecedented detail the fascinating and rich history of Ireland’s global revolution.